Renault reduced costs for the new Clio, which debuts at the Paris auto show. 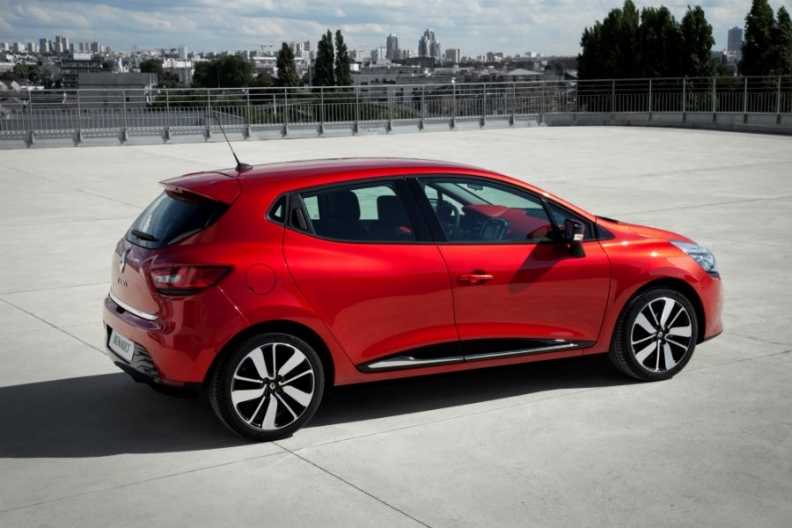 RENNES, France -- Renault has reduced the retail price of its new Clio subcompact compared with the outgoing car. In France, the cheapest Clio will sell for 13,700 euros, which is 250 euros less than the base price of the current version. Renault said it was able to reduce the new Clio's starting price by sharing parts between the model and other cars built by the Renault-Nissan alliance. Measured by cost, 50 percent of the new Clio's components are shared with the Nissan Micra and the Renault Modus, Clio Project Director Philippe Caillette told Automotive News Europe. "The large volumes we ordered for parts shared with other Renault Nissan alliance models helped us to get lower prices from our suppliers for the fourth-generation Clio," Caillette said. The Clio is built on a new version of the alliance's B platform that has been modified to improve comfort, maneuverability and reduce noise levels, Renault said. The model is available to order now and will start to arrive in European dealerships after its Paris auto show debut in September. Renault is following a trend by mass-market automakers to reduce the base prices of new-generation cars compared with the outgoing models. Peugeot launched the 208 subcompact earlier this year with a base price in France of 11,950 euros, down from 12,900 euros for its predecessor, the 207. Market watchers predict that the next key model to follow this price-cutting trend will be the Volkswagen Golf. "Volkswagen will probably go that route next year when it launches its new Golf," said Ian Fletcher, an analyst for IHS Automotive. Despite the new Clio's lower starting price, customers are likely to seek additional discounts as Europe's dealerships struggle to attract buyers who are being squeezed by Europe's economic downturn. Francois Gilbert, a Renault dealer in Bruz, France, said it was too early to discuss incentives for the new Clio but he added that potential customers are demanding reductions for all models. "That is all they talk about," he said. The Clio's was Renault's best-selling model in Europe in the first six months, with sales of 135,600, down 19 percent, according to market researchers JATO Dynamics.